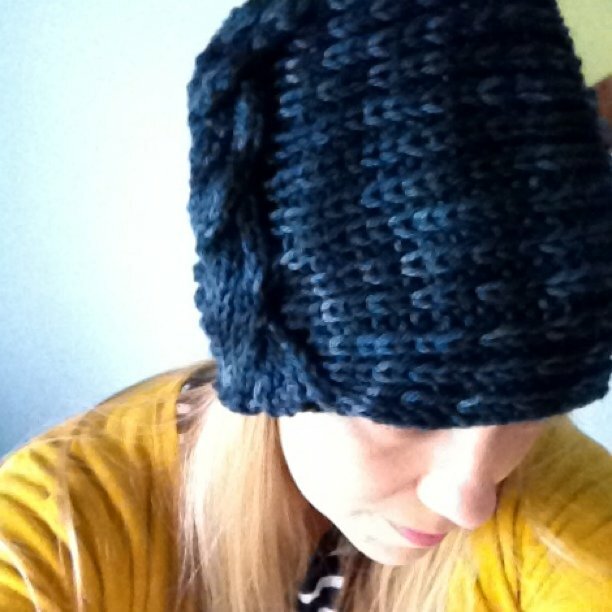 Another finished object, another hat. 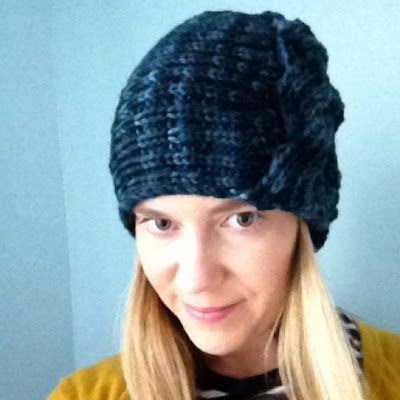 This is the Sideways Grande Cloche by Laura Irwin, which has been on my to-knit list for too long. I used one skein (plus a quarter of a second skein) of Araucania Nature Wool Chunky in this cool kettle-dyed stormy dark blue/green color. 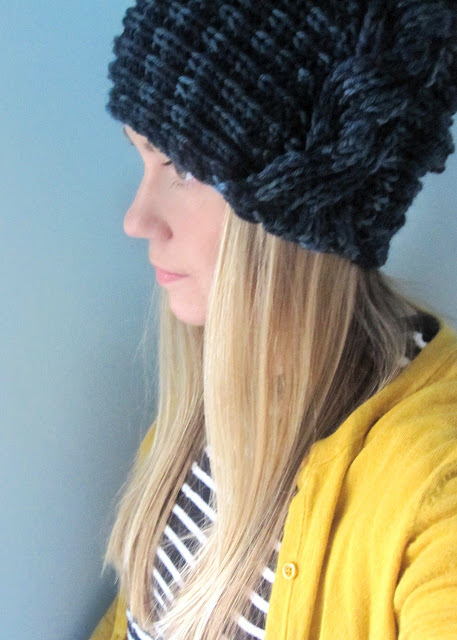 Oh my goodness, I love this hat. It's super cute on you. I will have to add it to my list. Hi Jen ... Love the hat and it looks so good on you. Very cute! That color is great on you. Mine turned out too big. I will follow your mod next time. Super cute!